Build your dream home on prestigious McDonald Road! 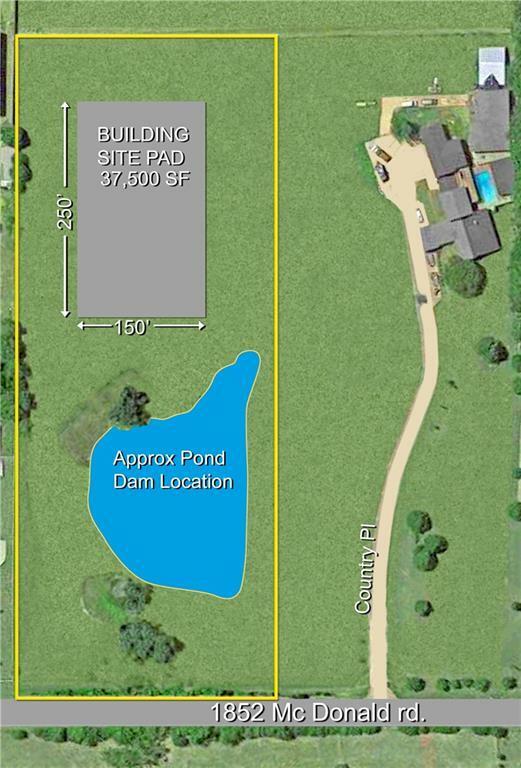 A gently sloping tract of land with a pond. Your new home could sit on the crest of the slope overlooking your pond and your master planned landscaped gardens or lawn. 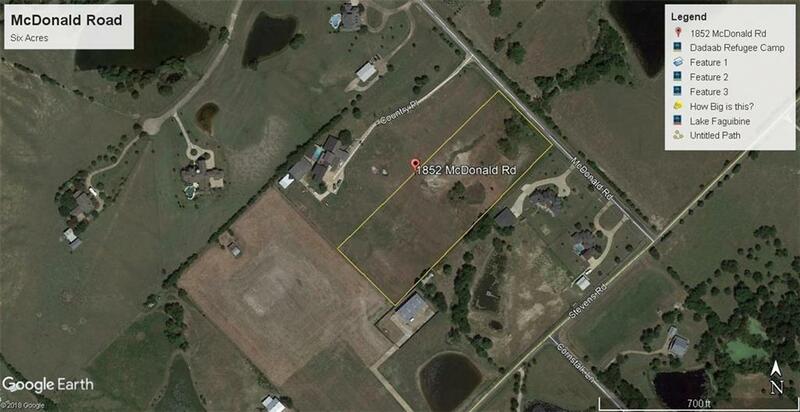 This highly sought after area offers peaceful country living close to Heath and Rockwall. No restrictions or HOA. You can buy a separate lot, three acres minimum or have the full six acres all to yourself. Currently AG exempt, a great place for your new home and private stables. It is all up to you to create your own piece of heaven. Offered by Jill D'aoust of Coldwell Banker Apex, Realtors.